Stay warm this winter! 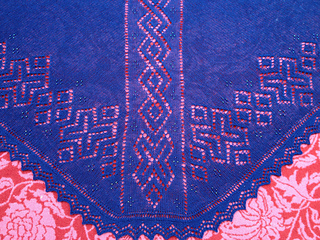 Knit yourself a Saltangara shawl! 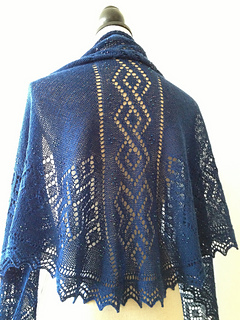 Saltangara is a top-down Faroese-inspired shawl worked in stockinette stitch. The bold geometric pattern is accented with beads, which provide a bit of sparkle during dark winter days. Unlike true Faroese shawls, there is no shoulder shaping. You should know how to cast on provisionally, read charts, and attach an edging. A link is provided for the beading technique. Many thanks to my test knitters Karen and Fran!! !